This is the national antem in english so you could understand the words. "Amhrán na bhFiann" ("The Soldiers' Song") is the Irish national anthem. The music was composed by Peadar Kearney and Patrick Heeney, the original English lyrics (as "A Soldiers' Song") by Kearney, and the Irish language translation by Liam Ó Rinn. The song has three verses, but only the choral refrain was officially designated the national anthem. This is the original song in the original language. This is the national anthem of the Northern Ireland. This is the physical features Ireland and Northern Ireland. The culture of Ireland includes customs and traditions, language, music, art, literature, folklore, cuisine and sports associated with Ireland and the Irish people. For most of its recorded history, Ireland's culture has been primarily Gaelic. This video contains the culture of the Irish people. This is what the ladies would wear back in the old days in Ireland. This is what the men would wear too, kilt and all. Like the Scottish, the Irish also play the bagpipes. The Irish language consists of English, Irish, and Hiberno-English. Representative modern Irish dishes include Irish stew, bacon and cabbage, boxty, coddle, and colcannon. ... The Irish mythology is a Celtic Indo-European tradition and shares many foods with others in this group. Ireland's food is sort of like Italy's food. They both have pizza, but they make them differently. This is the President of Ireland speaking her native language, Irish, it is also known as Gaelic. This is the type of music that the Irish like to listen to. Ireland's sports include gaelic football, hurling, rugby union, Equestrian, golf, athletics, and other sports. Soccer is the most played team sport in Ireland. Gaelic football, hurling, golf, aerobics, cycling, swimming and billiards/snooker are the other sporting activities with the highest levels of playing participation in the Republic of Ireland. Rugby is a lot like American football. 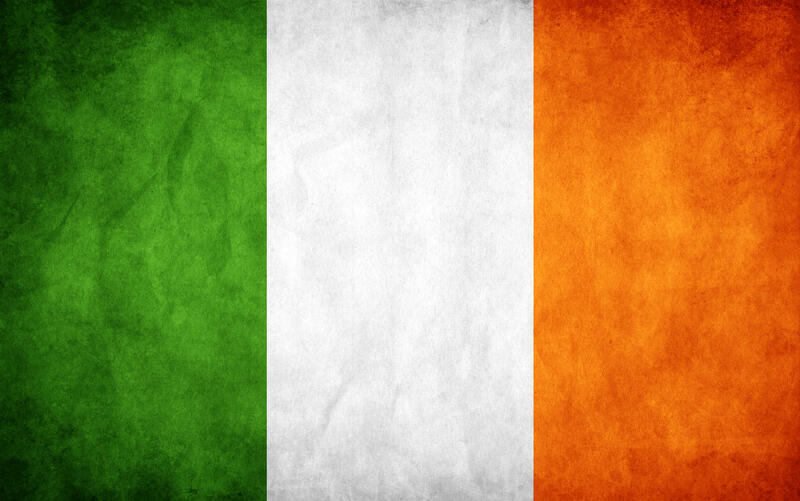 It is loved by a ton of Irish people and people in America who like football. If you like football, you will like rugby. Equestrian is a sport that it is loved by the Irish. There is an old saying that goes “there is no bond so close as that between a man and his horse” – and nowhere is this bond more treasured than on that island off the far west coast of Europe where the horse is held in the highest regard. This section includes general information and photography about Ireland: Land of the Horse. Regional descriptions with maps highlighting the main tourist attractions and their proximity to the riding centres. Whether it is an afternoon trek, some intensive training, a gallop across a specially-built cross-country course or a trail ride that will take you through the most breathtaking scenery you have ever witnessed the choice is all yours. In this section we showcase of the wide variety of Horse Riding Activities available for all age groups and levels in Ireland.Sixteen world class Horse Riding establishments welcome you with friendly horses, amazing facilities and a wide range of services. No matter what age or level of experience, let Ireland's expert trainers and horses guide you. In this section you can discover features, services and contact information of the many professionally run Horse Riding Centres throughout Ireland on their detailed profile page via our interactive Google map. Golf’s big names have designed in Ireland. Take County Clare’s Trump Doonbeg International Golf Links: Greg Norman was a brave man to have challenged his skill to create such a prized course just minutes from the Dr Alister MacKenzie-built Lahinch. Then there’s Jack Nicklaus’ Kilkenny parkland, Mount Juliet, a constantly ranked must-play. This is the golf courses in Ireland. I think that the views are amazing. Created with images by Kathleen Tyler Conklin - "Think Green" • mbg35 - "cliff ireland cliffs of moher" • jarmoluk - "the ball stadion football"